Sussan Ley is obviously familiar with the idea that you don’t come to a party empty-handed. Before almost 2000 delegates at the opening day of Early Childhood Australia’s National Conference on Friday, the Assistant Minister for Education announced that the Federal Government would commit to a further 12 months of funding for the National Partnership Agreement on Preschool funding. This Agreement provides funding to the States and Territories to top up their existing funded Preschool hours to 15 per week for every child. It was due to cease at the end of this year, and since its election in September last year the Government has steadfastly refused to confirm if the funding would be extended. This failure to provide certainty has been regularly condemned by the sector, by early learning experts – and even the Productivity Commission has recommended in its draft report that the funding should be kept. Minister Ley’s announcement has provoked mixed reactions. The extension of funding is undoubtedly welcome, but the caveat that it is only a 12-month extension once again places the sector in a state of uncertainty. The decision provides further emphasis on the core problem facing the Government’s approach to childcare and early childhood education: It doesn’t have one. 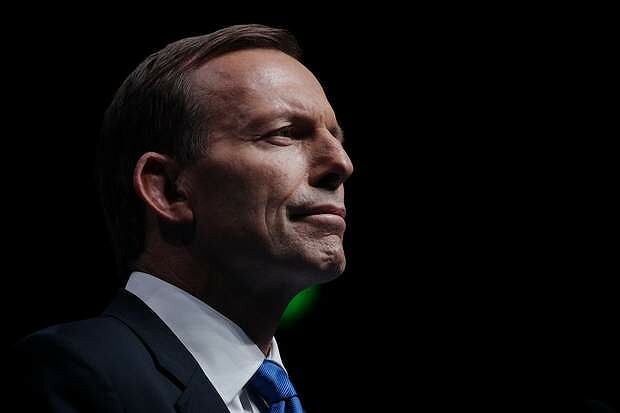 Ever since their election, and in fact during most of their time in Opposition, the Abbott Government has been content to provide regular and scathing assessments of the Labor Government’s ineptitude and profligacy in this area. “Fees rose 53% under Labor,” intones the Assistant Minister so regularly it is probably in her email signature block. “Operators are drowning in red tape” is another popular catchphrase. Both those lines can be (and regularly have been) strongly rebutted – but one year after their election, there seems little point arguing to toss when we don’t even know what game we’re playing. The early childhood sector and the community are no closer to understanding what the Government’s approach to such a critical policy area is now than they were one year ago. 52 weeks after they were handed the keys to Parliament House, it is surely not unreasonable that we might have an inkling of what the Government thinks needs to be done with early learning and childcare. The go-to excuse has always been the Productivity Commission. Handballing the political hot potato to the Commission was a short-term measure to avoid scrutiny and making any actual decisions. Examining the issues and factors surrounding the sector is a worthwhile exercise, and the Commission’s draft report has already sparked debate in the community. But the Government’s refusal to even point in the general direction of a policy position until they have had the chance to read the final report is now bordering on lunacy. Governments, and in particular this Government, are not unbiased implementers of recommendations from independent reviewers. Governments are values-driven, and have a particular ideological bent. It is surely time, regardless of what the Commission recommends, that we have some idea of how the Government even views early learning. This is a significant community issue, and plays into the lives of practically every Australian family. Regardless of whatever specific concerns people may have had about the policy settings of the previous Labor Government, they were at least clear that they stood for a growth in funding to early childhood education, a national benchmark of quality and support for children and families experiencing vulnerabilities to access early learning. We have no such direction from the current Government, even in such general terms. In Opposition, Sussan Ley regularly lambasted the National Quality Framework as “the dead hand of government regulation”, while in Government has defended it from attacks by Senator David Leyonhjelm. Tony Abbott and Joe Hockey have grimly told Australians that the budget is tight and no extra money can be found for early education in the Budget, while allocating $5.5 billion to a Paid Parental Leave scheme that barely even has majority support within their own party. The Government is under no obligation to outline specific early education policies until they are ready – but they have surely run out of time to keep their general thoughts on such policies hidden and unknown. They have certainly not been shy about coming forward with their ideological positions on a number of other issues such as free speech, the environment and education to name just a few. Which begs the question: why is the Government so silent on early education? Two possibilities suggest themselves – either they have no idea what to do and how to do it; or the plans they do have are too shocking to share with the electorate. It’s hard to know which is worse. The June 2013 quarterly from the Department of Education on ECEC will be available later today [UPDATE: is now available here], and the political brawl of affordability has already begun according to Judith Ireland. The Education Department’s June 2013 quarter report on childcare and early learning, released on Monday, shows the average fee, per hour, of long day care was $7.50 between April and June last year, when Labor was still in power – up from a $5 average in the September quarter of 2007, at the end of the Howard government. Sussan Ley and the Government are of course delighted with these figures and we will no doubt be hearing a lot of them over the next few months as the Productivity Commission does its work. Kate Ellis has of course hit back at the claim, accusing the Government of being “sneaky” with the figures (but with no further details, at least in the media at the moment). Labor raised the Child Care Rebate from 30% to 50%, and have always used this as their standard defence against political attack on this issue. It seems unlikely that this will work this time. Early Childhood Australia chief executive Samantha Page said with wages making up about 80 per cent of long day care costs, wage increases over the six-year period would account for a ”fair proportion” of the cost change. But she said Labor had not adequately funded a 2012 national quality framework, that included reforms such as standardising child-to-staff ratios. Labor’s failure to adequately prepare for the implementation of the National Quality Framework, and the resultant impact on operational costs for centres and therefore fees, is now reaping the obvious political dividends. As I’ve written before, the National Quality Framework was a significant and critical reform that was carried out by Labor. But Ministers Kate Ellis and Peter Garrett both seemed completely oblivious to the broader landscape of ECEC. Raising the CCR was supposed to be their cover for affordability and cost-of-living attacks from the then-Opposition. But as was inevitable, this encouraged a huge uptake in the usage of children’s services, long day care in particular. This pushed up waiting lists, particularly in the 0-2 age range, leading to regular media reports on inaccessibility. The new qualification standards by themselves were always going to see fee increases for a sector that has always struggled to recruit and retain qualified staff. The signature failure of the NQF implementation was the seeming desire of the ALP Government to pretend there ever was a staffing problem (until in an election year it became politically convenient to finally realise). A funding and training package for this issue, that covered the entire sector, should have been rolled out in parallel with the NQF. The ALP will spend 2014 being hit repeatedly over the head with the accessibility and affordability issue. They spent their time in Government pretending that quality wouldn’t cost anything. Will they spend their time in Opposition developing an early childhood education policy that can structurally address these issues? The Government will of course continue their attacks – but this potentially leaves them with a very tricky problem. Going on and on about affordability particularly rather implies that they think something should be done about it. At this stage they are refusing to commit to anything before the outcome of the Productivity Commission report. But by raising this as a regular issue for the public, the Government will at some stage be held responsible for it. They will have to look at measures to improve affordability. But this Government is determined to be seen as economic conservatives – it seems unlikely that further increases to the CCR or CCB would be on the cards. But what are their options? In their terms of reference the Productivity Commission has been instructed that any recommendations must be “within current funding parameters”. This leaves the troubling conclusion that the only way to reduce fees for families is to roll back quality standards, particularly qualification requirements and ratios. If that’s the case, we’re looking at the groundwork for that announcement today. The Australian Greens are today releasing their plan to combine the Child Care Benefit (CCB) and Child Care Rebate (CCR) payments and increase the amount paid to some families. The plan is costed at $2.3 billion over 4 years. Some families, however, would get little new assistance, while others stand to gain more because the system would be skewed to help those who need it most. Greens childcare spokeswoman Sarah Hanson-Young said there was a clear need to streamline funding mechanisms to provide assistance to more parents who need it and promote higher standards of care. ”The crisis in childcare means fees are skyrocketing and availability is dropping, especially in high-need areas,” she said. ”If Australian children are going to be cared for in centres with sufficient numbers of qualified staff, the government must commit to increasing support to the sector. Streamlining the assistance payments makes sense, but it’s disappointing to see yet another policy announcement from a major party that fails to address the structural problems facing the sector. For a great look at how the sector needs structural reform, check out this great story from ABC Radio National. UPDATE: Green’s policy detail now up here. The current funding model – a John Howard special – removed the direct funding of services entirely from the system, replacing it with standardised fee subsidies for parents. The rhetoric is straight economics 101: parents are the best judges of the quality of care so they will choose the right services. They are assumed to be able to compare prices, hours, quality, like choosing a Laundromat, and be ready to move the child if there is a better local offer. The model assumed a level playing field between consumer and provider but a perennial shortage of care in most areas put the power into the providers hands. Will adding to the family subsidy address the actual issues with ECEC? While the government and opposition have put forward competing plans for paid parental leave to ease the financial burden on families with young children, childcare remains a significant cost for women who want to resume their careers. Mr Jeremenko [The Tax Institute’s Senior Tax Counsel] is to call for a reconsideration of rules that define childcare as a private expense that cannot be counted as a tax deduction.